With its recent plan to get rid of all university tuition fees, nearly unlimited entertainment and cultural amenities and incredibly diverse landscapes, people are flocking to Germany to enjoy all the great perks that it has to offer. When you’re ready to make the move from New Jersey to Germany, working with a top-quality international moving company can help make your relocation abroad more seamless and stress-free than you thought possible. Simonik Moving & Storage has been proudly providing professional moving services since 1977 and during our time in business, we have earned “A+” accreditation with the Better Business Bureau in addition to ProMover status in the American Moving & Storage Association. When you work with Simonik, you can rest assured that you’re working with some of the most qualified professionals in the industry. When you’re moving from NJ to Germany, coordinating logistics, shipping and the arrival of your household goods can be challenging. To make things easier for you, the experts at Simonik proudly offer flexible short and long-term storage options to accommodate your needs. All of your household items are securely stored in containers that are designed especially for international shipping and we can keep them in our warehouses for any length of time. The Simonik Moving & Storage team is committed to serving the needs of our customers throughout New Jersey. To accommodate as many people as possible, we service households throughout North Jersey, including Hunterdon, Mercer, Middlesex, Monmouth, Morris and Somerset counties, among others. 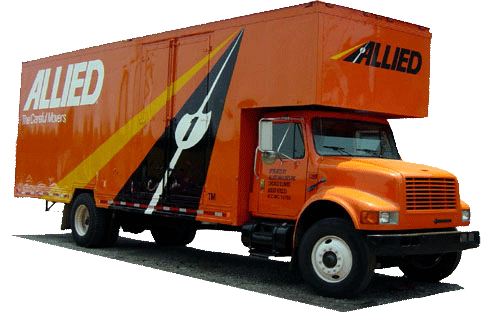 No matter what the size or distance of your move, you can count on our team for unmatched service and professionalism. Simonik is the winner of the “Mover of the Year” award from the New Jersey Warehousemen & Movers Association and as an active member of both this association and the American Moving & Storage Association; we are always kept abreast of the latest and greatest industry news and techniques. You can rest assured that during your move from New Jersey to Germany, our team has what it takes to get you there with ease and efficiency. To learn more about our NJ to Germany moving services, contact Simonik Moving & Storage today! You can speak to one of our highly-trained representatives or fill out our quick online form to receive your FREE, no-obligation estimate today!